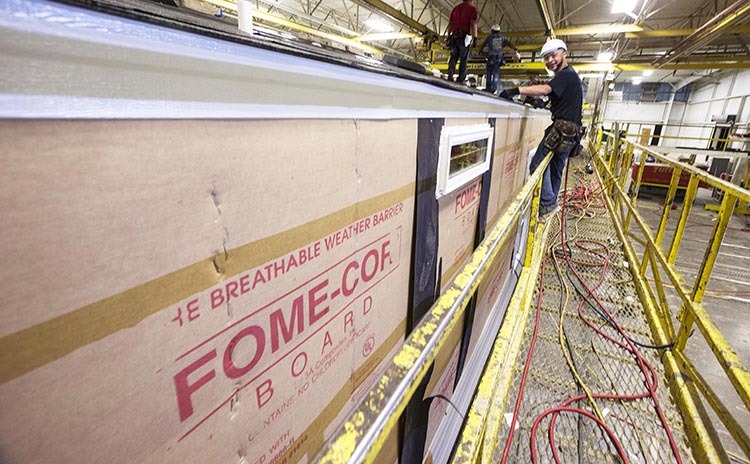 Keep unwanted air and water out of buildings with Fome-Cor® Board. 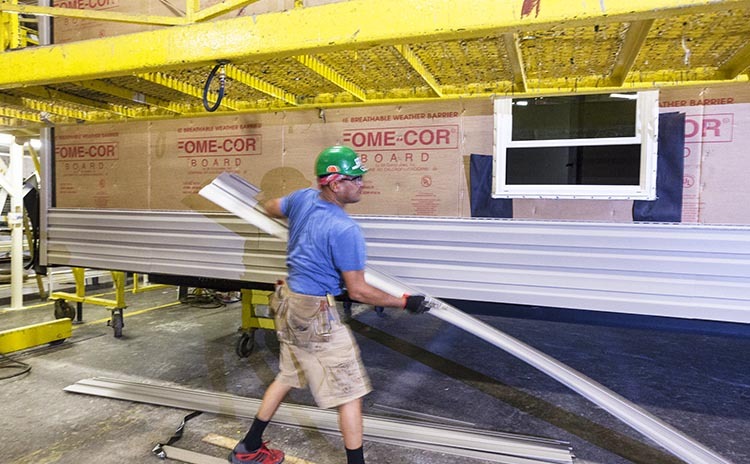 1/4” Fome-Cor® Board is produced up to 8’ tall with an accordion folded design that allows for a continuous protective wrap around structures, such as the manufactured home in this image. With Fome-Cor® Board, homes stay protected, comfortable, and energy-efficient year round. Built to allow interior moisture to escape, be water resistive, and to control air filtration. Fome-Cor® Board has been used in the home construction industry for over 30 years. 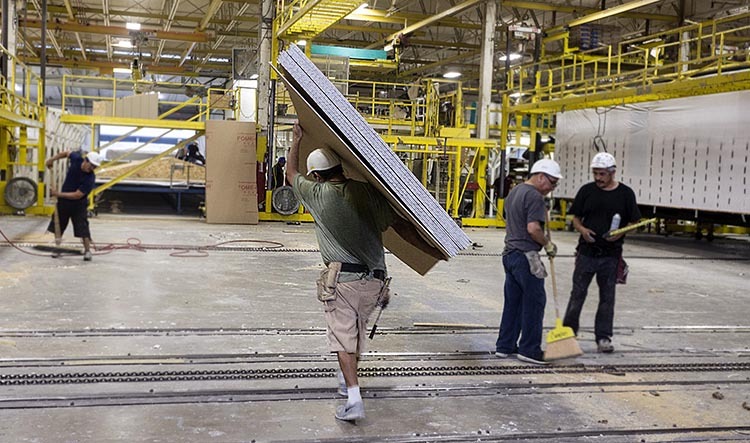 Fome-Cor® has faster installation times than sheet goods and its stiffness makes for easier handling, reducing installation cost and project timelines. Fome-Cor® Board’s unique accordion-folded, foam-filled design reduces the possibility of unwanted water, air, and noise from entering your home!